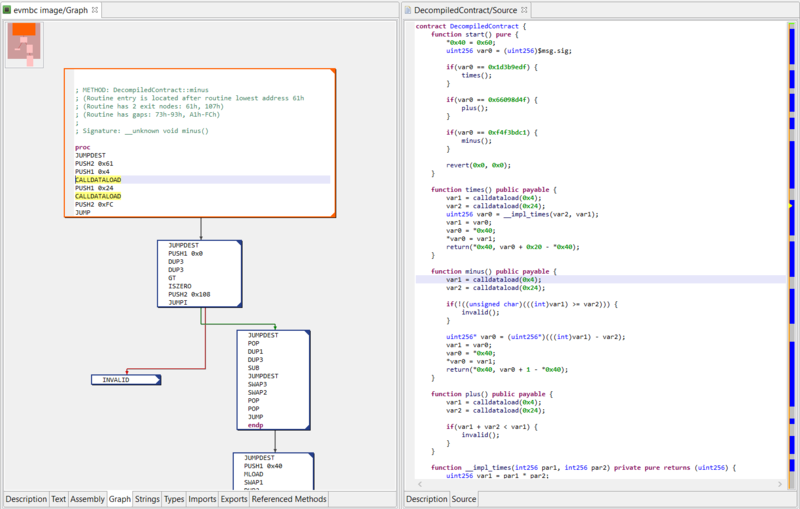 JEB Intel decompilers allow reverse engineers to analyze malicious Intel x86 32-bit and 64-bit programs. Cut down on costly reverse engineering time: use our interactive decompilers for x86 and x86-64 binaries to analyze Windows malware. Support most code object files: Windows PE (EXE binaries, DLL libraries, SYS drivers), Linux ELF, Mach-O, headless firmware, etc. Decompilation of x86 and x86-64 to C-like source code. Signature libraries of common SDK, including all versions of Microsoft Visual Studio. (Coming soon) Partial Class Recovery and Decompilation to C++ for programs compiled with MS VCPP (Beta access - demo video).